China’s brutal crackdown on its Muslims has attracted a global outcry and shows no signs of slowing in 2019. 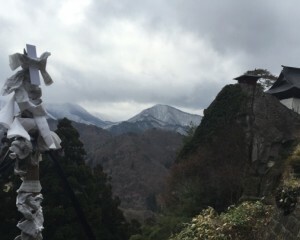 This extends to other faiths: Chinese Christians, Taoists, and Buddhists are also facing a new wave of repression. But while China is backtracking its accommodation of religious citizens within its borders, it’s doing the opposite outside them. One big wrinkle? 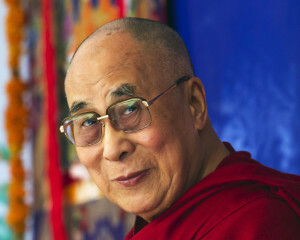 The world’s most famous Buddhist lives in India: the Dalai Lama. 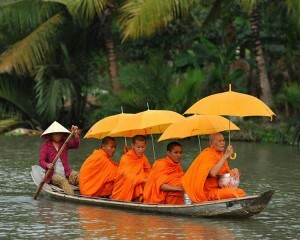 India is also the birthplace of Buddhism. 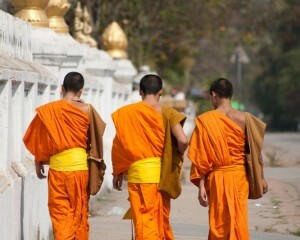 Although India has been late to the Buddhist sphere compared to China, the two Asian superpowers are making the religion itself the next front in their geopolitical rivalry. 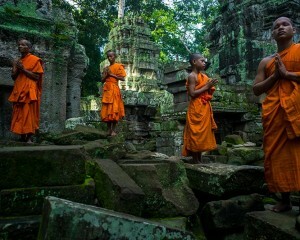 Not content to let China to run away with Buddhism’s cultural cachet across wide swaths of East, Southeast, and Central Asia, India, too, has joined the global conference circuit, revitalized historical sites, and parades its Buddhist heritage on diplomatic tours. The surprising loser of their clash—which will, if nothing else, revive a great many Buddhist heritage sites—is the Dalai Lama himself. He has spent 60 years in Dharamsala, in the Himalayan foothills, in exile from Tibet. India’s government long held its housing of the Dalai Lama as a trump card in the Buddhist world. But that started to change last year, when India spurned the Tibetan government-in-exile’s anniversary celebration because it was a “very sensitive time” for bilateral relations with China, according to the Indian foreign minister. This constitutes a big chill. 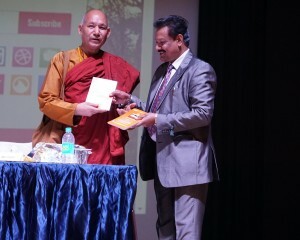 As recently as 2014, the president of the Central Tibetan Administration (the exiled government) was invited to Prime Minister Narendra Modi’s inauguration. Now, it seems that India doesn’t want to risk anything that could upset its mercurial relations with China. 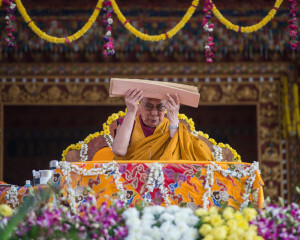 Instead, Modi’s play for Buddhism sidesteps the politically tangled Tibet issue for a hazy rhetoric of “civilization” and “enlightenment.” In the process, both countries have effectively marginalized the Dalai Lama and the Tibetan refugees who call him their spiritual leader but who find themselves no longer useful in the great powers’ culture wars. And, ironically, despite the pretext of diplomacy, India might be playing right into China’s hands, handing it the keys to run away with the leadership of the worldwide Buddhist community. Why is the Dalai Lama such a unique figure in geopolitics? 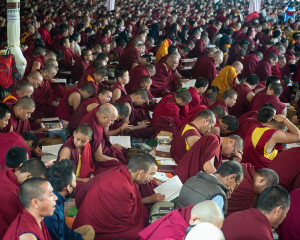 Identifying rebirths is a particular concern of Tibetan Buddhists; there are thousands of Tibetan lineages, beyond famous ones such as the Dalai Lama, whose reincarnations are a source of constant speculation. In the past, this determined money and power in Tibet—today, it shapes the Tibetan world’s identity. That’s why issues of succession are writ so much larger on Tibetan politics than on other Buddhist-majority societies. That makes the next life of the Dalai Lama critical. 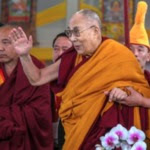 Beijing claims that the Chinese government has the sole right to determine both whether the Dalai Lama, officially the 14th in an ancient spiritual lineage, will reincarnate and in whom he will reincarnate. This might seem a contradiction in terms for an atheist state, but it’s part of the messy legacy of China’s religious-imperial past under the Qing Dynasty. Since Beijing’s claim to Tibet rests largely on the Qing-era borders, picking the lamas ostensibly comes with the territory. When a reincarnated lama died in the past, the fights over his lavish inheritance were often bitter. The 14th Dalai Lama will be no exception. The Dalai Lama fled Tibet for India’s Himalayan foothills at age 15 and is the spiritual leader of Tibetan Buddhists worldwide—as well as a political power player in an exile community that’s often bitterly torn. 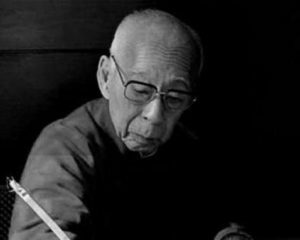 Now 83 and in declining health, aging is on his mind; his death will create a power vacuum, which will almost certainly be filled by China. For years, he has been suggesting that he simply may not reincarnate. (“There is no guarantee that some stupid Dalai Lama won’t come next,” he said in 2014.) This enrages China, which claims it will appoint his successor. 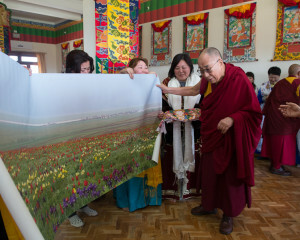 In turn, he has tried to set up a Tibetan government that can outlast his own cult of personality. 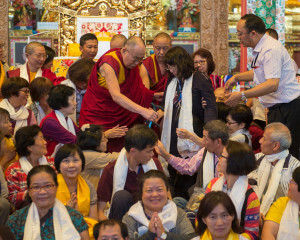 “He’s been thinking strategically, or you might also say compassionately, about the risks and dangers about reincarnating,” said Gray Tuttle, a professor of modern Tibetan studies at Columbia University. But he may have done that too well, writing himself and his community out of anyone’s strategic interests. Even if the Dalai Lama considers the world as his audience, India and China have a shorter field of vision. India’s new foreign secretary, Vijay Gokhale, is the former ambassador to Beijing and is keen to improve bilateral relations, which means sidestepping Tibet sensitivities. China’s decades-long campaign to erode the prestige of the Dalai Lama has basically worked: No world leader will meet with him today, and even Modi has personally avoided it. If India is walking back its engagement with the Dalai Lama now, the path for China’s ambitions is clear. China has long asserted that a figure called the Panchen Lama will help find the next Dalai Lama. (Lama is the Tibetan Buddhist word for spiritual leader.) But there are two claimants to that title: the Dalai Lama-approved one, who was kidnapped by Chinese officials at age 6 and whose whereabouts are unknown, and the China-approved one is Gyaincain Norbu, who lives in Tibet. So China will no doubt anoint some successor to the Dalai Lama, and Tibetans will no doubt reject his legitimacy. Meanwhile, the Tibetan government-in-exile would lead its own search for his successor. 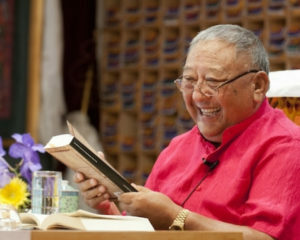 (Barnett said that camp would almost certainly be spearheaded by Samdhong Rinpoche, the former prime minister-in-exile.) Sound familiar? That means, once again, two rival claimants to the title. China’s power grabs may slowly create a whole shadow order of claimants to the top positions in Tibetan Buddhism. “There is no question about this: There will be two candidates for the next Dalai Lama, unless the Dalai Lama insists that he should have no successor. And even if he does that, the Chinese will ignore that, and the exiles [in Dharamsala] probably would as well,” Barnett said. 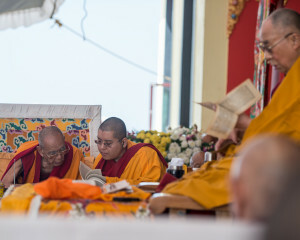 In a rare 2011 edict on his reincarnation, the Dalai Lama said there were three possible ways his successor could be chosen: the traditional search for a child reincarnation after his death, the selection of a child before he dies, or the appointment of an adult “considered to have already ‘entered the mindstream,’ which I presume might mean sharing the same ideals and so forth,” explained Barnett, who examined the edict in the original Tibetan. 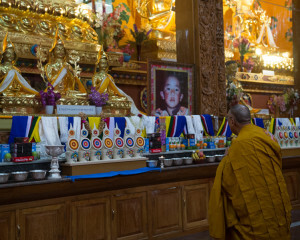 Aside from the Dalai Lama quagmire, not only would China have the Panchen Lama in its corner but also the Karmapa, who heads the Karma Kagyu sect of Tibetan Buddhism. 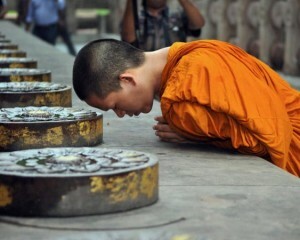 China would then have a very strong claim to spiritual leadership in the Buddhist world. “The Karmapa’s lineage is the oldest there is,” Tuttle said, “and he has a huge Chinese following.” He also gets money from China. The Karmapa Lama would be a major asset for China. “He is a sensible and intelligent adult, a millennial,” Tuttle said. There are already signs of what China would do with this cultural authority: not just try to unite various Tibetan Buddhist traditions under one roof but also actively promote China-friendly sects. 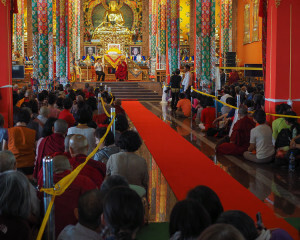 For instance, the top leader of the Drukpa sect, which has monasteries in the Indian and Tibetan Himalayas, has accused China of funneling money into Tibetan Drukpa monasteries and turning them toward the Karmapa-led Kagyu sect. India’s program, meanwhile, has been sporadic. 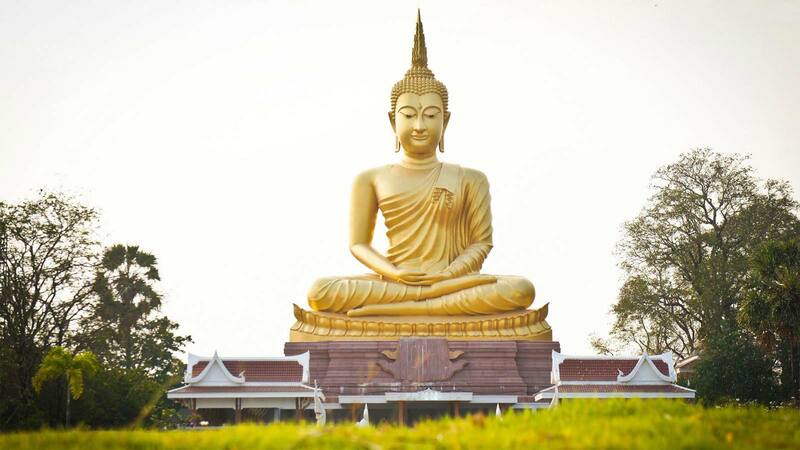 It has some good material: The Buddha reached enlightenment in modern-day Bihar, so it is the birthplace of the religion. But it doesn’t actually have that many Buddhist citizens: fewer than 9 million today, compared with 244 million in China. 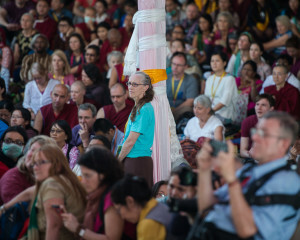 Still, India, too, has staged several global Buddhist forums, sent Buddhist relics abroad, and reopened Nalanda University, once a center of Buddhist civilization, in 2014. Nothing has really stuck, yet. Leaving the Dalai Lama’s cause may actually help change that. But if it wants to make a serious bid, India still needs to nail its messaging on Buddhism, which has become hopelessly entangled with Hinduism, especially in the current age of Hindu nationalism. Many Hindus, for instance, believe the popular doctrine that Buddha was really an avatar of the Hindu Lord Vishnu and Buddhism is controversially labeled a “subsect” of Hinduism in the Indian Constitution. 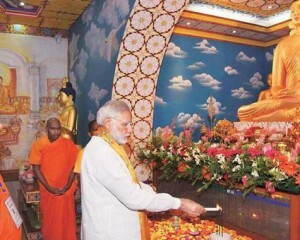 Modi, too, finds it hard take Buddhism on its own terms. 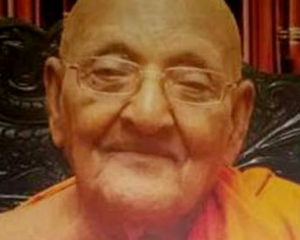 In 2015, Modi gave a strange address at Bodh Gaya, the site of the Bodhi tree, sponsored by the Vivekananda International Foundation, a right-wing think tank with intelligence ties, where he attributed India’s production of the “great spiritual master” of the Buddha to its Hindu traditions. The kind of rhetoric, which reflects his party’s ideology of Hindutva, or “Hindu-ness,” could kneecap India’s ambitions to reclaim its Buddhist heritage. 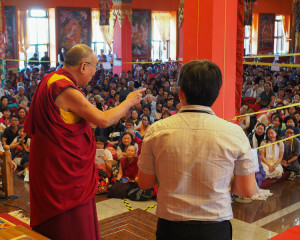 Stobdan suggested that although India has sidestepped the Dalai Lama issue to retain bilateral ties with China, India’s overtures for Buddhism ultimately remain “a China containment strategy, as narrow as that.” China has long been sweating over India’s success at exporting its popular culture, so religion may well follow. Whatever happens, India will probably leave Tibetans stranded in the process, which is particularly unfortunate because it’s in a unique position to facilitate a resolution. Especially if it gets support from outside Asia. “India will have a determinative effect on the outcome of all issues related to the Dalai Lama and the exiles,” Barnett said. “It’s extraordinary that, for decades, Western observers and strategists seemed to have failed to acknowledge this and to work with India on this issue.